You can enjoy the benefits of fast and convenient transactions any time of the day. This debit card lets you access your checking account faster and safer than carrying a checkbook. There are great reward options to choose from depending on your account. Options available include points with CU Rewards, cash back rewards, or high interest on checking account balance. Great reward options including points with CU Rewards, cash back rewards or high interest on checking account balance. Add an extra layer of security for online shopping with MasterCard SecureCode. In an effort to protect our members from foreign debit card fraud, FCCU will block all international debit card Point-of-Sale transactions (except Canada). However, if you call us two business days before you travel outside the United States, your account can be set up for international transactions for a specified period of time. Call 1-800-850-7676 for more information. 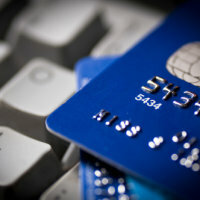 Many times members contact the credit union wondering if they need to file a debit card fraud claim or if they need to file a debit card merchant dispute. The primary difference between a fraudulent transaction and a disputable transaction lies in whether or not the cardholder initiated the transaction with the merchant in the first place. Click here to view a document with further information.